On occasion, I have to set aside my usual “uniform” of jeans and blouses or knit dresses, and put on something a bit nicer. These events tend to sneak up on me, and I frequently end up un-accessorized as a result. This weekend I decided that it was time to at least have an appropriate purse for some of these Summer functions. 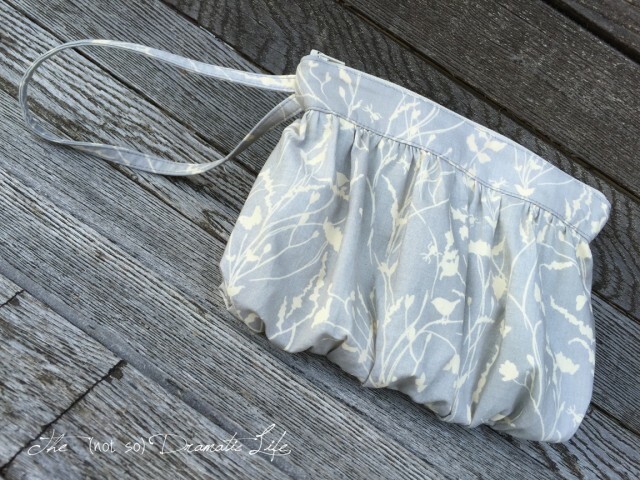 My nicest Summer dress is a grey and beige stripe, so I decided to use a fabric in the same color scheme for the exterior of the bag. This cotton is a Janet Clare print from her Field Guide line of fabric for Moda. 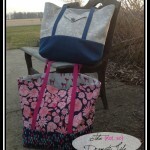 So far this bag is pretty subtle, and I couldn’t have that! The main part of the interior is this cheerful green dot. I designed this bag to be divided into two sections with a zippered pouch in the center. 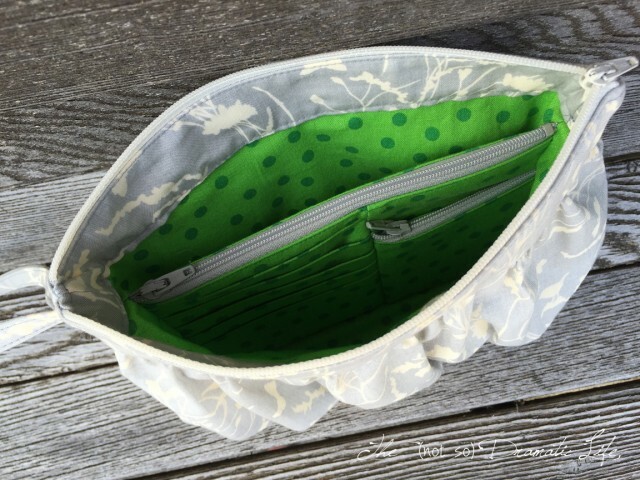 On one side of the central zippered pocket, I added five card slots and a smaller zippered pouch with a pocket behind it. 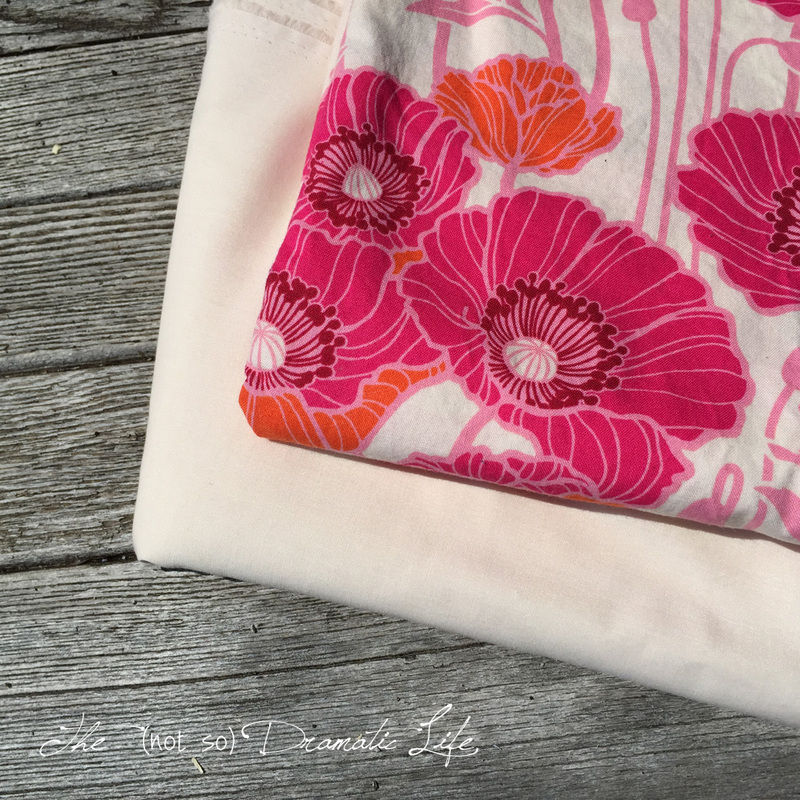 The linings of the internal zippered pockets are bright pink. 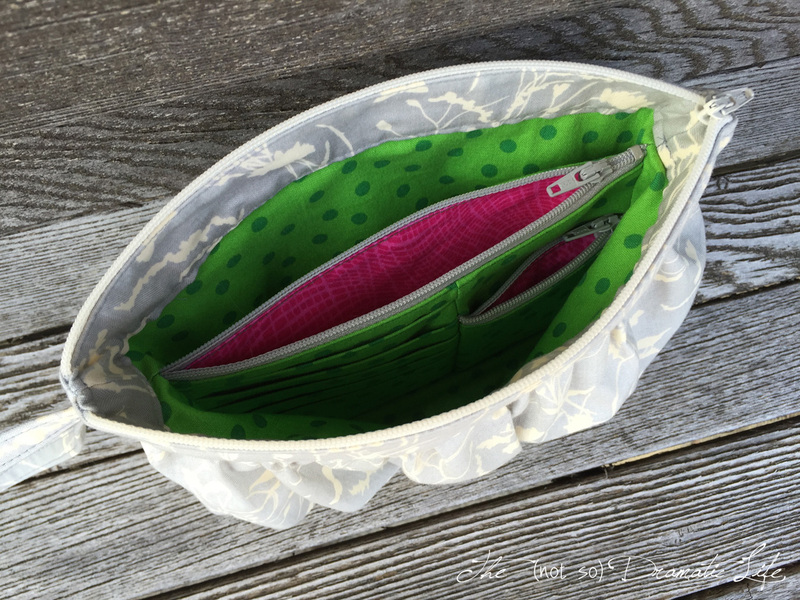 I didn’t realize how much the interior of this bag looks like a watermelon until I took the pictures! 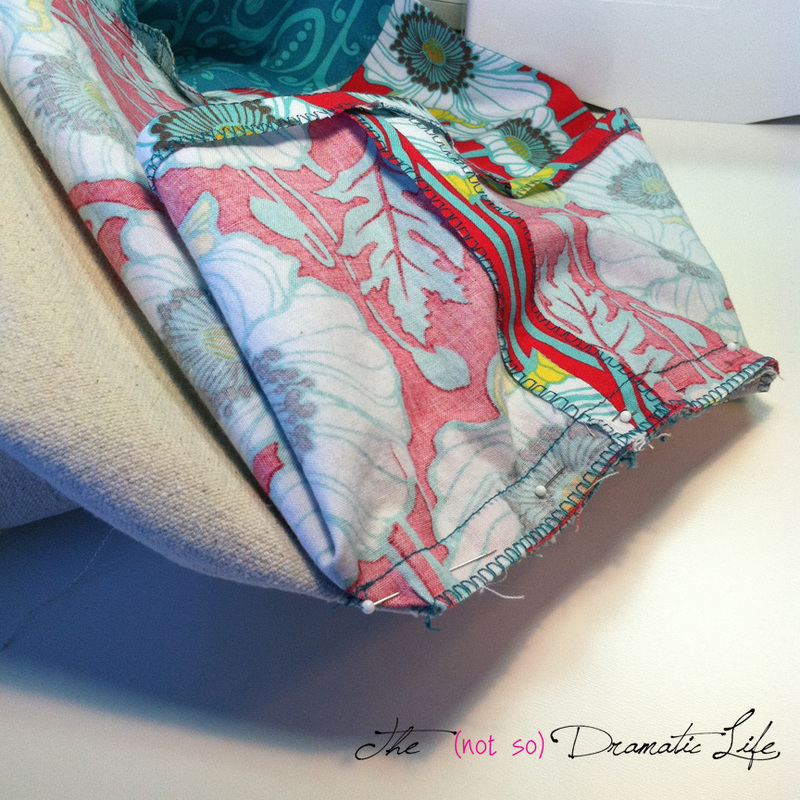 The inner lining lays smooth with the outer fabric ruched (gathered) over it. Then the upper band with the zipper and wrist strap is added. At about 9″x7″, this will work as a just-large-enough-for-an-evening bag, and it is nicer than my other bag without being too formal. 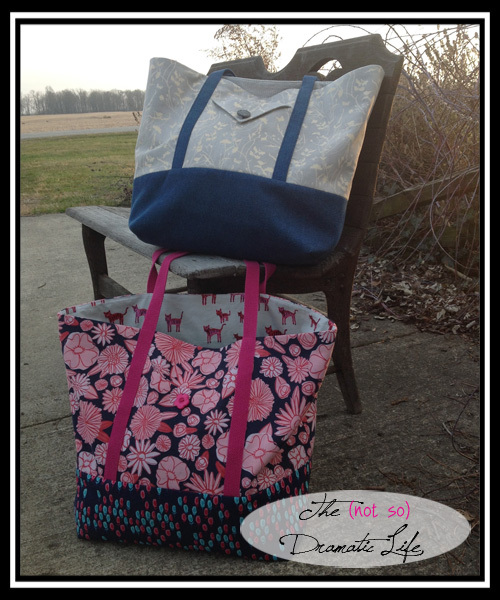 Thank you to everyone who came by enter the first giveaway for this blog! I am thrilled to have welcomed so many people, regular follower as well as new, to my blog this week. I know I discovered a few new blogs to follow in the last few days, and I hope you have too! 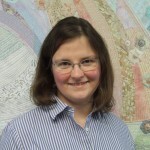 Congratulations Catrin! 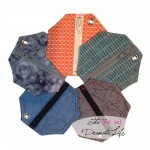 I have sent you an email, and I hope you enjoy your new pouches! 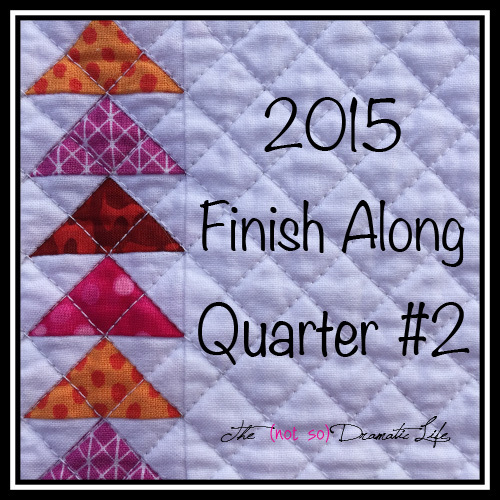 I can hardly believe we are entering the second quarter of 2015! 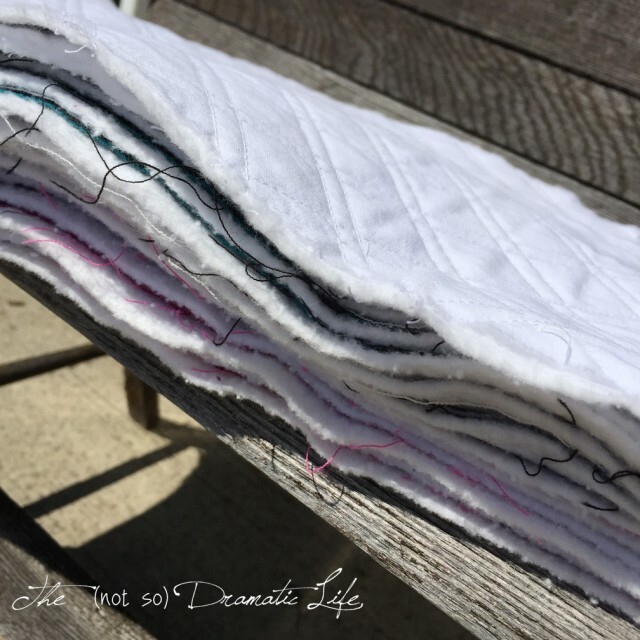 This time around I have a unrealistically long list and a mix of goals: a dozen mini quilts, a few larger projects, a couple bags, a some smaller gifts. 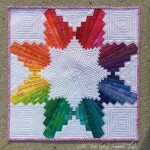 I am excited to once again join in the Finish Along fun with Adrianne at On the Windy Side! 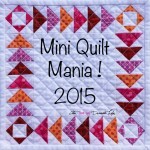 In order to keep up with Mini Quilt Mania I am planning to make a dozen more mini quilts for the second quarter of this year. 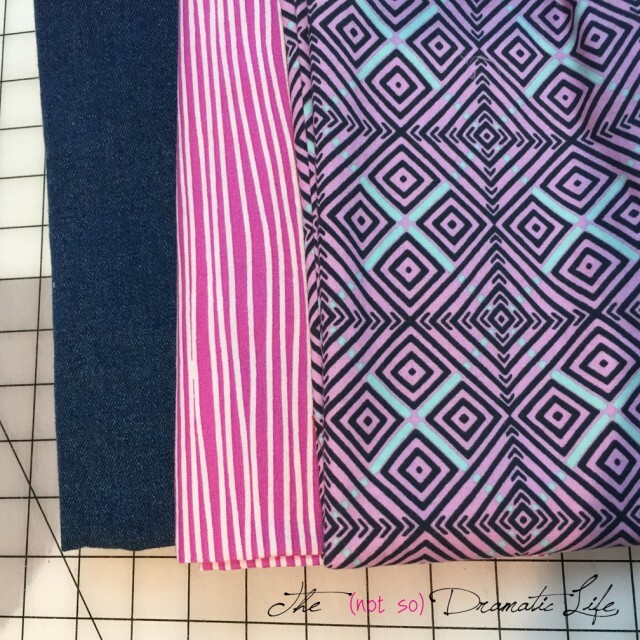 These are in various stages of completion: sketches, patterns drafted, fabrics chosen, and a couple are even being sewn! 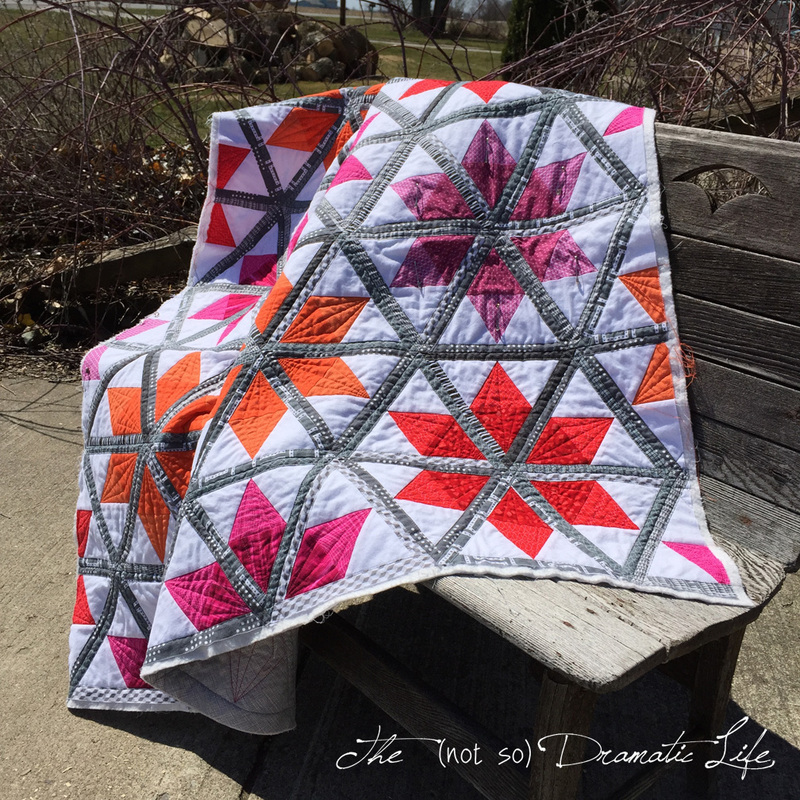 In January I started a starburst quilt based on my Happy New Year! 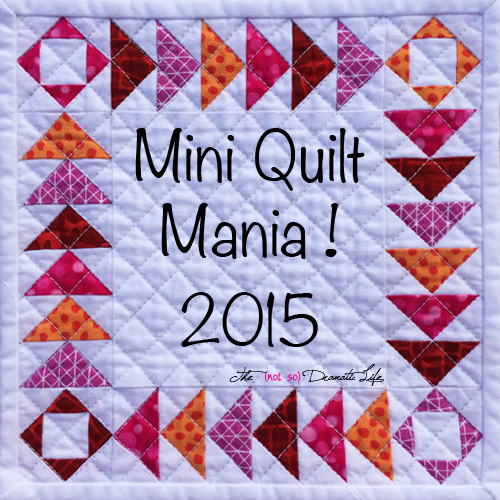 mini quilt, and this project is a rollover from Q1. 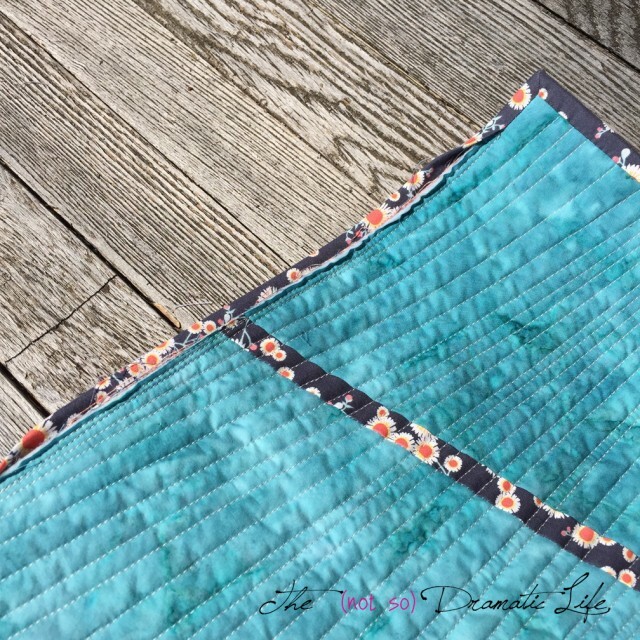 I have this piece about half quilted right now, and I would really like to get this one finished up this quarter! For my Modern Quilt Guild Riley Blake challenge quilt I am making a “potholder” style quilt using hexagonal bound blocks rather than the more traditional squares. This quilt will be completely reversible, with one side being predominantly turquoise with the other side leaning toward the pinks in the collection. 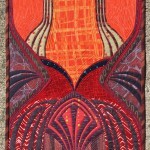 Right now the quilt is about halfway pieced. 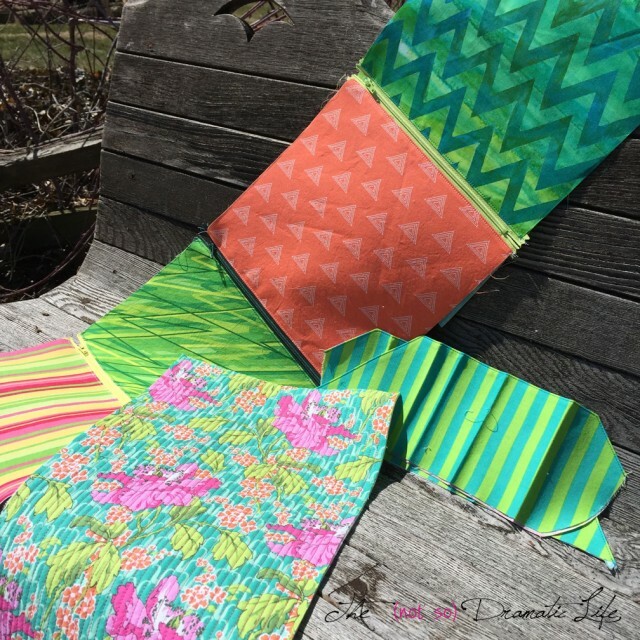 I knew as soon as I saw the Viewfinder fabric in Melody Miller’s Playful collection by Cotton and Steel that I wanted a Quilted Purse made with it. I am slightly scaling up the pattern I created for my current purse. 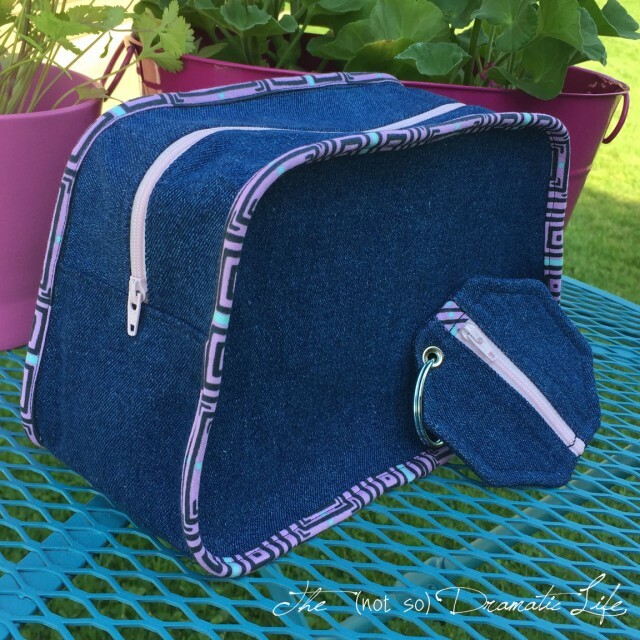 I have set the zipper into the top panel, quilted the main fabric, and made the handles. Sometimes I wish I had a Cross-body bag to carry when I need a more hands-free shopping (or quilt show) experience. I have sketched the design, pulled fabrics, and I am looking for a source for a double tab purse zipper that is at least 30″. This shouldn’t be so hard to find- I mean- you must be able to buy luggage zippers, right? Any sourcing suggestions? 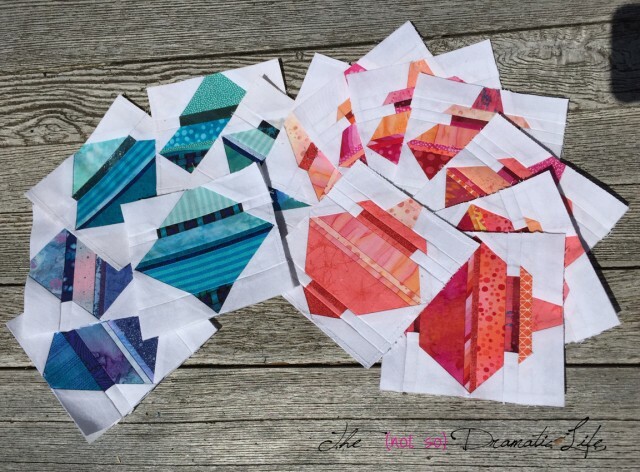 I designed and made these cute little blocks for my Baubles Quilt months ago. 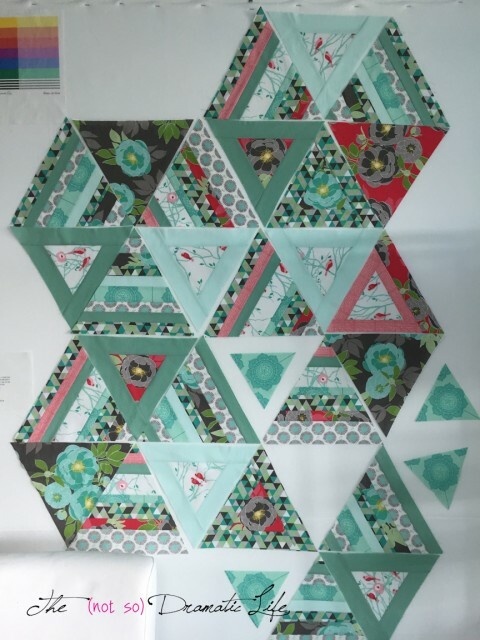 I need to put together a top and get this thing quilted and finished! This Secret Project (roll over from Q1) is still quilted, ready for finishing, and needs to stop hanging out under my work table! Here’s hoping this quilt makes it into a finished pile this quarter! 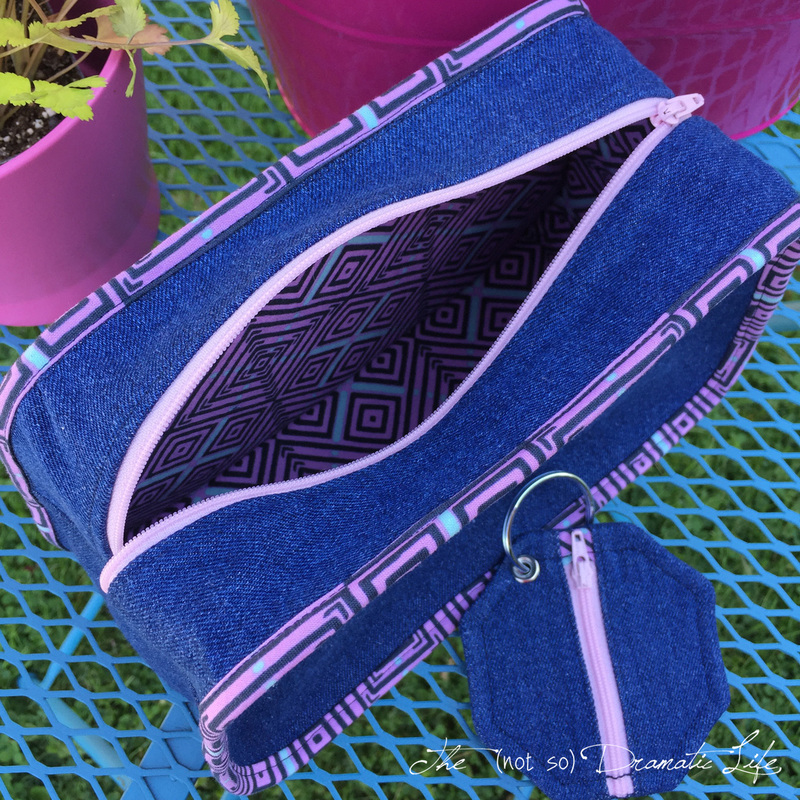 I am going to be needing a few small thank you gifts for this summer, so I am hoping to get six (or more) cord/coin pouches made. This quilted pillow top needs a zippered back and finishing. 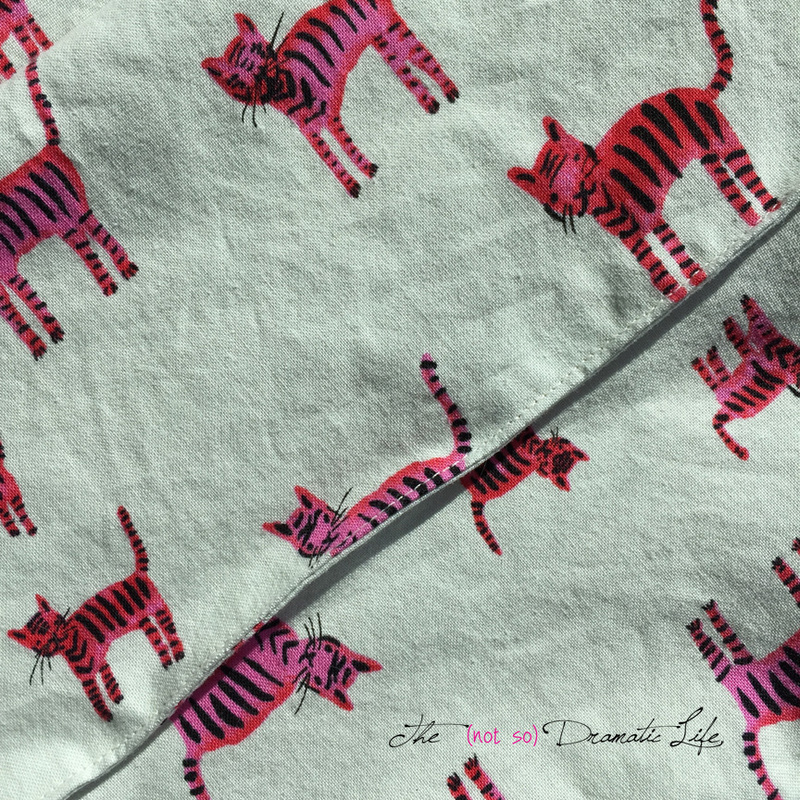 I bought this fabric last summer to make a skirt. Now that it is warming up again I need to get this made up! 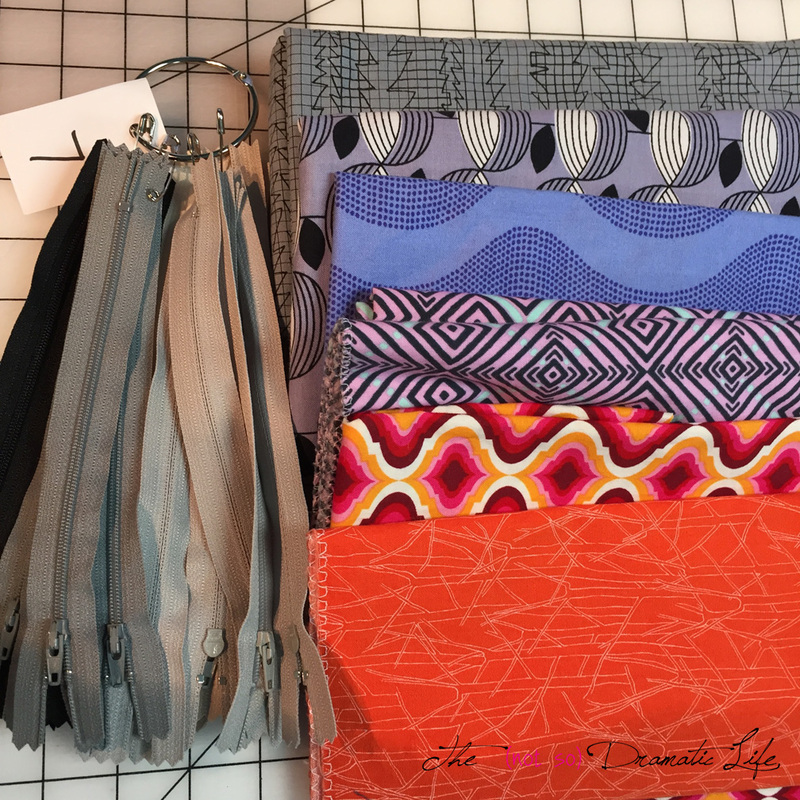 I recently started another Bionic Bag, and I will be finishing it up in Q2. 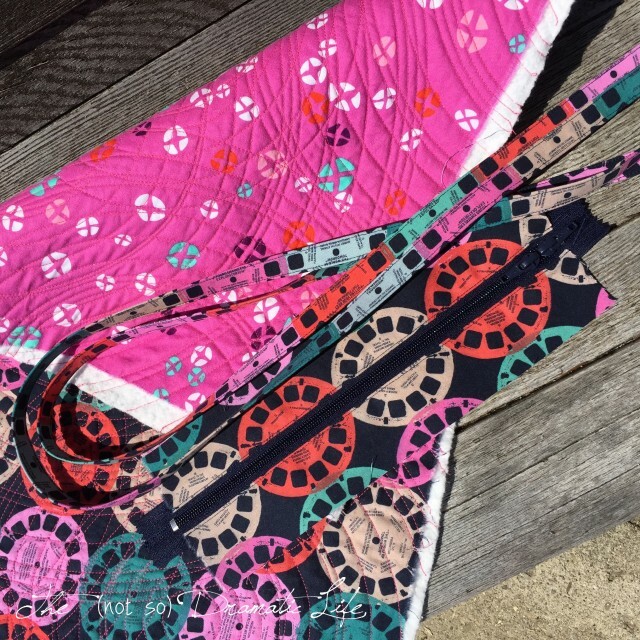 I have all my pieces cut, interfacing fused, zippers installed, sides assembled, and the outer panel quilted. 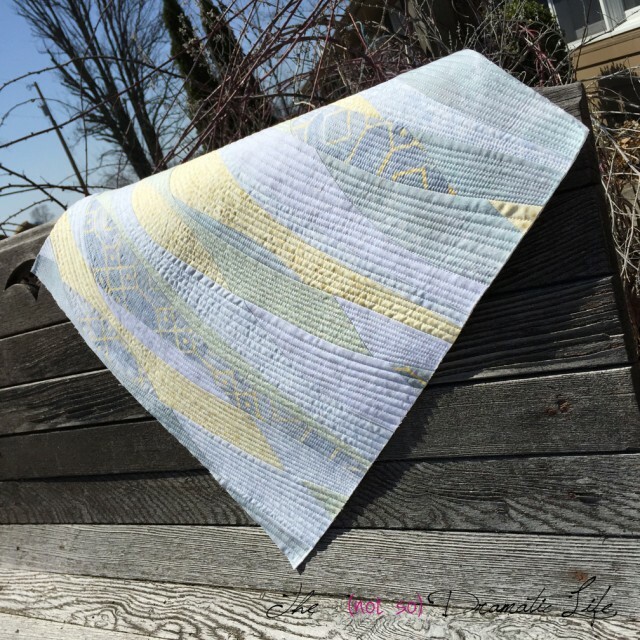 I started a set of placemats last fall. I have a set of four that just need the binding finished. 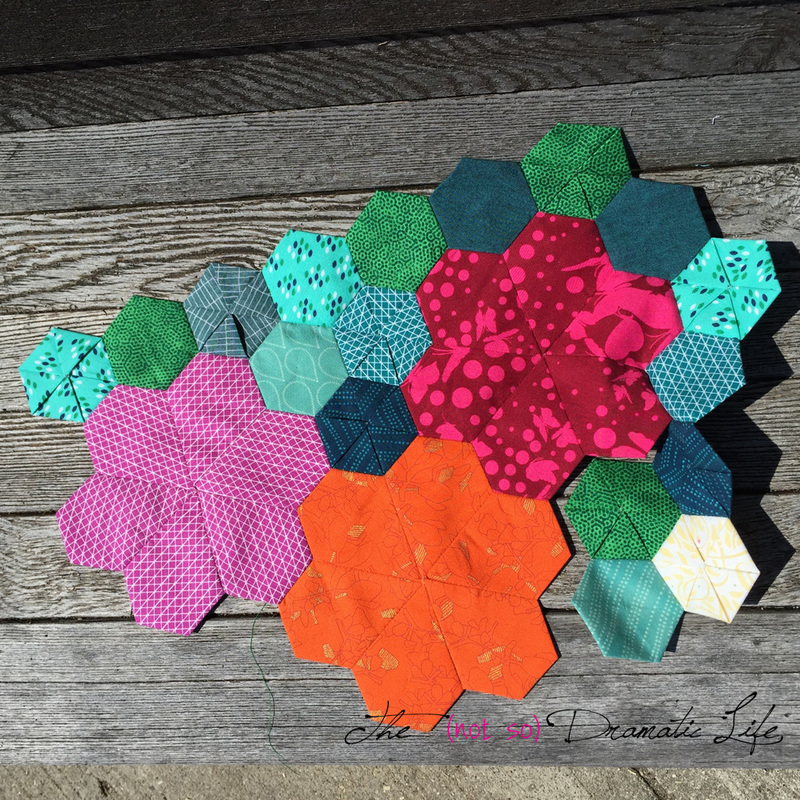 I started sewing this hexagon project when I needed some handwork. I’m not entirely certain how large this is going to get, but I’m hoping to discover what exactly this wants to be. 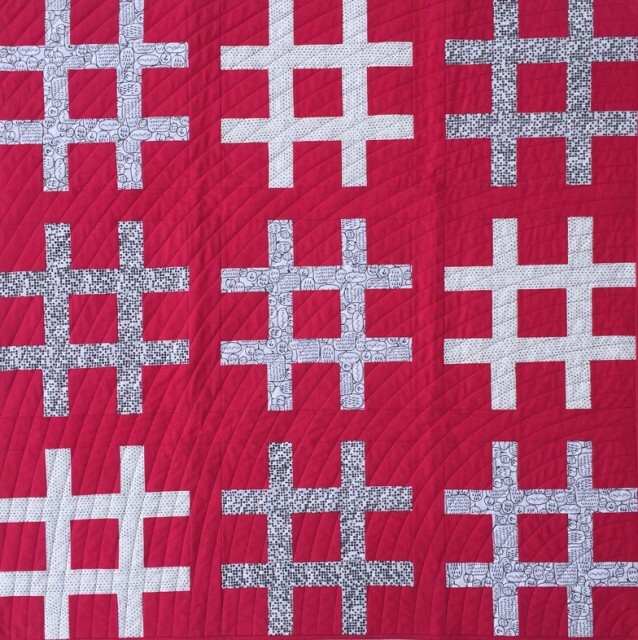 In the first quarter I created a baby quilt sized Sweet and Simple Hashtag Quilt. 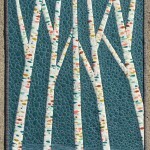 This quarter I will be making a lap quilt size version of this quilt. This summer I’ll be working as a theatrical cutter/draper. 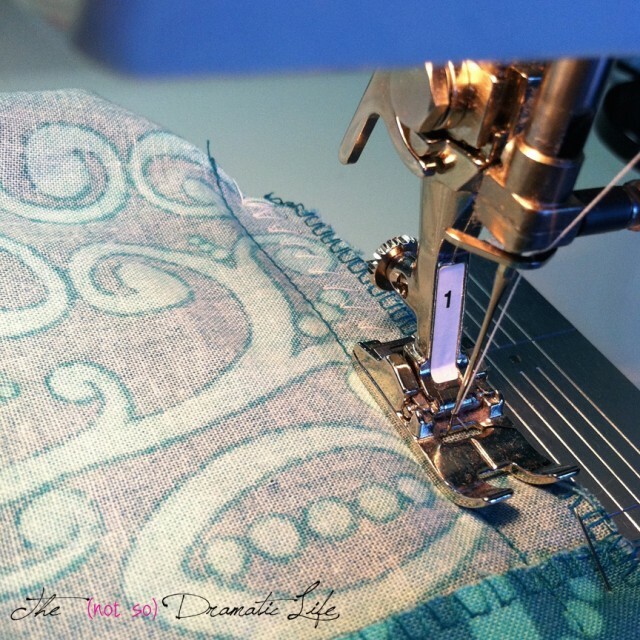 (A draper uses the performer’s measurements to create patterns for a costume.) I haven’t done this in awhile (I’m pretty excited to return to it! ), and when I pulled out my sewing apron it was really worn. I will definitely need to find time to make a replacement before I leave for this job! I have some denim left over from another project, and I am still deciding what fabric to use for the accent. These are my top choices right now. This list is super long, and I recognize that a some of these projects may not get finished (or even touched) this quarter, but a lot of items are pretty far along, so once again I am cautiously optimistic!